The unmanned aerial vehicle industry is expected to bring in billions for domestic drone makers over the next few years. Where are the robotic aircraft manufacturers sending their stealth spy plans though? They aren’t saying. 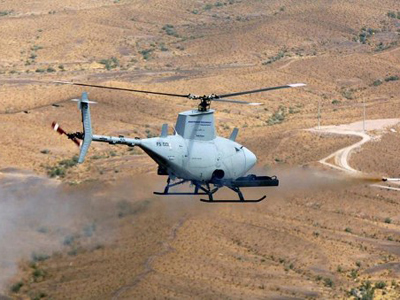 The American Independent reports that Texas’ Vanguard Defense Industries, a US Defense Department contractor that outfits the Pentagon with unmanned aerial drones, has inked agreements with several overseas governments. According to the Independent, Vanguard is expected to see most of their profits in the next year occur from selling airships to foreign nations. Just exactly who is on the receiving end — and to the tune of how many crafts — remains a mystery. “I thought it was going to be a brutal process,” Vanguard CEO Michael Buscher explains to The Independent in discussing how his company went about gaining US State Department approval. He says that he imagined the procedure to outfit foreign nations with the controversial aircraft would be difficult, but was surprised to see how easy it was to have Uncle Sam authorize his company to deal the drones overseas. 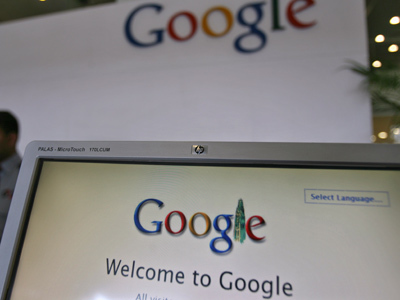 “It was well orchestrated and extremely thorough. But when you follow their guidelines and provide copious details, the process is not as burdensome as I would have thought,” says Buscher. 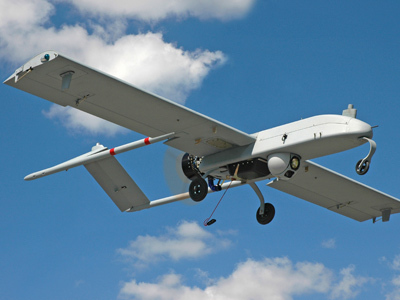 Not only does an easy process mean easy income for Buscher and Vanguard — it also means that the foreign entities seeking spy planes and other drone crafts can come into possession of them much easier. “There is so much power these companies have with government agencies, and this places extremely powerful pressure on the executive and on the Congress. We are at a very dangerous stage because the American people know so little about the use of drones by our government, much less about these sales overseas,” adds Benjamin. More would be known about those international drone deals, of course, if the defense contractors were obliged to identify their customers. 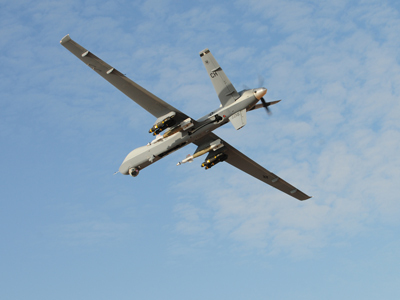 Since they are not, however, Vanguard’s roster of regimes that depend on their drones are unknown, calling some skeptics to question if the US is indirectly assisting in foreign governments that use unmanned crafts to spy on its citizens—or perhaps even more. 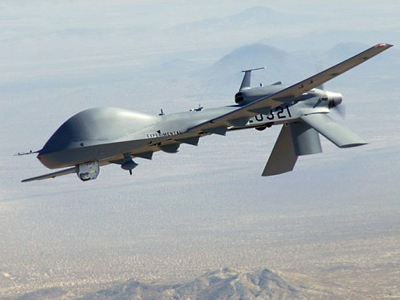 Although Vanguard manufactures drone planes used in surveillance missions, they have also been linked to producing stealth crafts that are fitted with firearms and high-tech weaponry. 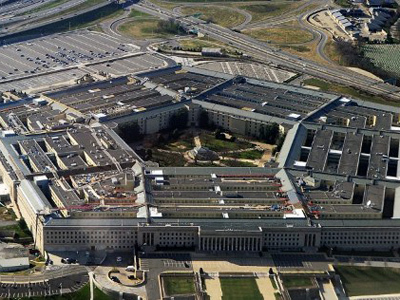 Last year, the Anonymous hacktivist offshoot LulzSec hacked the servers of Vanguard, revealing private correspondence containing businesses deals between the Texas-based DoD contractors and overseas entities. Lulzsec described the emails as containing “contracts, schematics, non-disclosure agreements, and more” and warned the defense industry that they would need to be on the offensive if they wish to prevent future hacks. Months later, however, Vanguard is still filling international orders and expected to do so for the unforeseeable future. 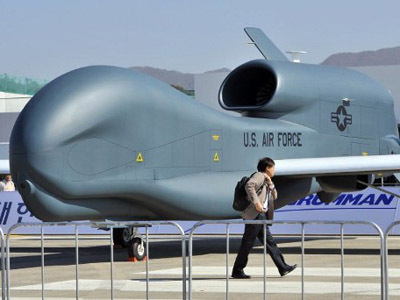 The Independent quotes Vanguard as expected to accumulate upwards of $40 million during the next year by selling drones domestically — in the end, however, they estimate that the majority of their deal will be done with foreign countries.